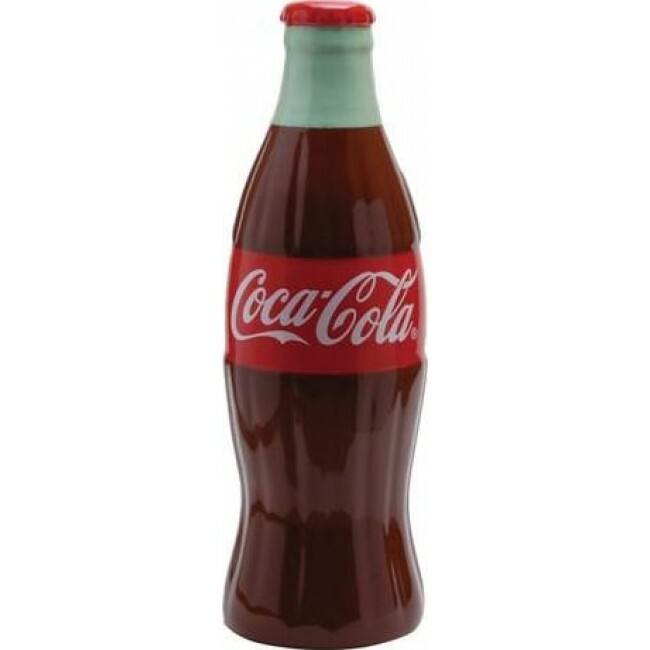 Taste the feeling and save your rainy day pennies inside this Coke Ceramic Bottle Bank. 2.8 x 8.2 x 2.8 inches. Taste the feeling and save your rainy day pennies inside this Coke Ceramic Bottle Bank. Before you know it, you'll have enough to take singing lessons and teach the rest of the world how to sing (in perfect harmony)...and maybe even buy each one a Coke! 2.8 x 8.2 x 2.8 inches.